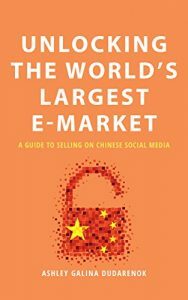 This book is a must-have for anyone who’s working with Chinese social media or planning to enter China. It’s packed with the latest information, actionable insights and strategies for marketers to make the most of WeChat and Weibo. You’ll learn about Chinese consumers, WeChat and Weibo working models and the outlook for digital trends in customer relationship management, artificial intelligence and what kind of changes ‘New Retail’ will bring. With a population of over 1.3 billion, China still tops the board with the world’s largest population. It also has the world’s largest e-commerce economy, that reached 7.57 trillion RMB (1.18 trillion USD) in 2017. According to eMarketer, China will account for 60% of retail ecommerce sales in the world by 2021. It’s a huge market full of potential but it’s not straightforward. Before stepping into this unique market, there are many things brands must know in advance. Yet many marketers and small business owners from other countries only have a narrow understanding of Chinese consumers and the online channels to reach them. There’s an increasing demand for dedicated strategies and tactics for the China market but current books about China digital marketing often lack practical solutions. Seeing a gap in the market, I decided to consolidate my twelve years of professional experience in digital marketing in China into an easy-to-read business book, hoping to offer market insights and actionable tips to interested industry insiders around the world.